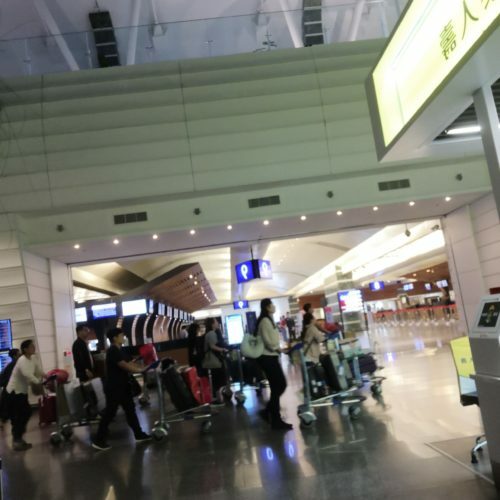 "all staff helpful and polite"
✅ Trip Verified | Taoyuan airport is bright and clean. Signage good (a relief when using several airports new to you). My chief impression was all staff helpful and polite, which is the general experience wherever you go in Taiwan. 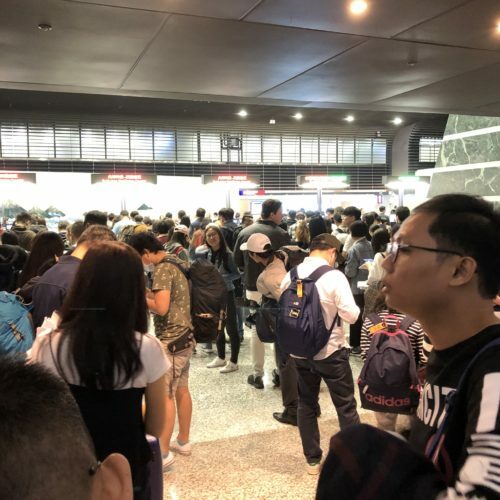 "terminals have very limited service"
✅ Trip Verified | Used TPE airport 4 times in December 18/Jan 2019. Overall I found the airport to be really clean but also very dated. Terminal 1 is dark while terminal 2 is slightly more spacious and bright at the gate area. Both terminals have very limited service. T2 has some themed gates which was better than T1. Despite not having any priority immigration/security for business class/premium passengers, the immigration line in T1 moves fast. Arrival experience was below par though. 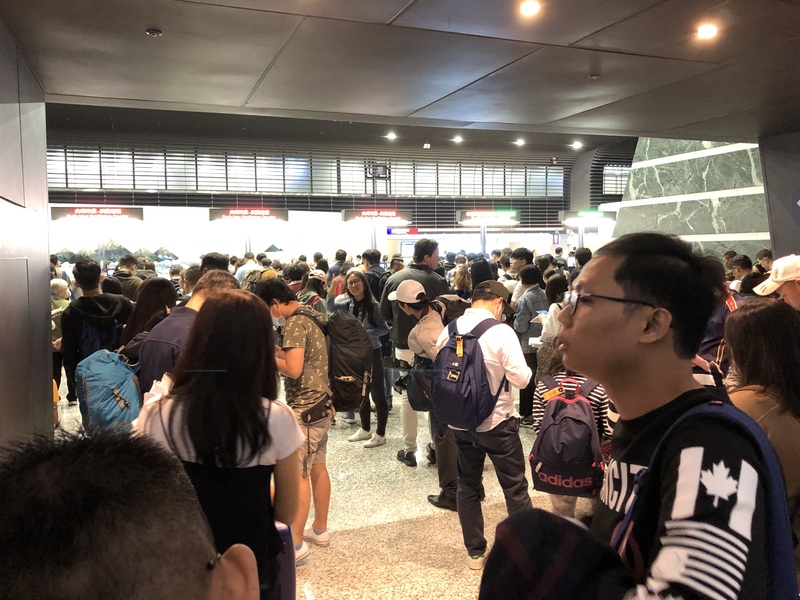 The immigration for non Taiwanese was very long and slow moving, and the wait in the luggage reclaim was long despite it being a small airport. ✅ Trip Verified | As an International Airport for your country, please apply the mindset of global standard in your SOP. One hand soap dispenser per sink is necessary in a standard bathroom around the world. Sharing one hand soap dispenser per bathroom with several sinks just not really work well in a busy public facility. And please improve your cleaning procedure as well. The smell of the bathroom are not matching the design and the living standard of the country as well. Not Verified | There is no heater in the airport! This is winter! There is also not enough seating area for passengers who arrive early at the airport before they check in. So disappointing. "hour long waits are a norm"
"Last minute change of gate"
✅ Trip Verified | Last minute change of gate but didn't inform us. Very disappointed that the crew is insisting is our fault. Not one person wasn't know about the change of gate but 10 passenger. 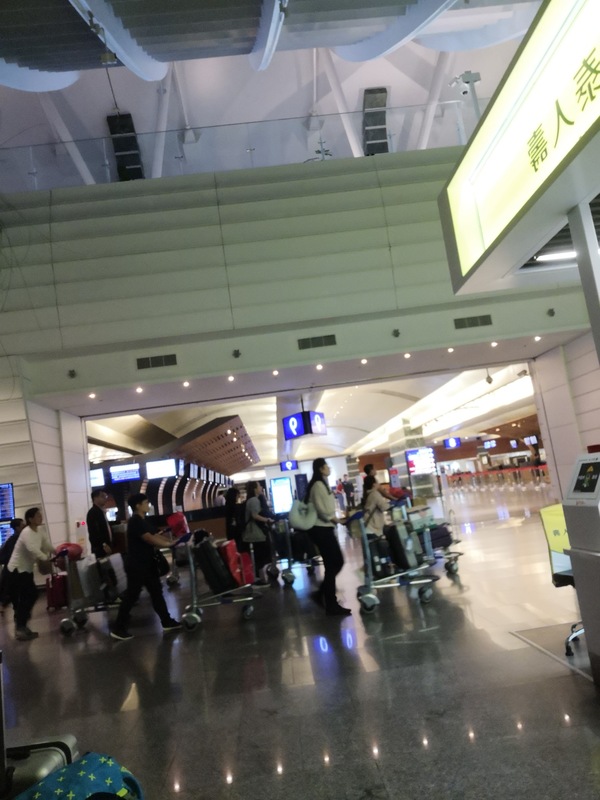 ✅ Trip Verified | Taipei airport is not helpful (the departing and foodcourt information counter). I went to B1 food court straight away following exit of MRT Airport while waiting for my check in. I wish to find Middle East Halal Kitchen. First counter I approached a lady at information counter in the foodcourt itself and telling me that the restaurant is no. 10. When I arrived at no. 10, the worker said its at no. 2. In which its not at no. 2. I went up and find a more general information counter at departure hall and they answered me saying its at B1, but its at counter no. 1, in which I'm very sure it is not, as I checked the name of the first restaurant before I heads up. Besides, they claimed to have 1 common praying room in which I did spend sometime looking for it, but could not find. No signboard can be seen. I managed to find only the shower rooms in which I did not require it. I found that it only helpful in direction for common tourist place and direction from the tourist information counter. Overall, Taiwan is a great place to be but think twice to get here due to bad experience and knowledge of the airport staff. Not Verified | I love the country- but boy oh boy the airport really is not right. Very sad. The whole experience starts with hassles from the airline check in, to the longest/unnecessary lines and processes in an airport (have you heard of Singapore - maybe use it as a role model for your operations. This airport is definitely in need of an overhaul, renovation and management change. What a really old system for moving people, in this modern age, through security and an airport. Incheon, San Francisco, Bangkok, Singapore, Japan all get people moving much more efficiently. Time to update, modernize and get with the times. ✅ Trip Verified | I had a few hours in transit so I had enough time to explore both terminals. Terminal 1 is old and tired and certainly needs a refurbishment. Terminal 2 is more modern and looks much better. I can appreciate the fact that most gates had a unique Taiwanese theme which was rather interesting. There was a wide choice of eating establishments with cuisine from Chinese to American to Italian. The Wi-Fi in both terminals was good despite occasionally dropping off. ✅ Trip Verified | This was my sixth time making a transit in this airport en-route to Jakarta and back. Obviously I am only in transit from one flight to another but my experience has always been excellent. Eva Air has their process very well planned and very easily you exit the plane and make it through the check point to the other level to find your outbound gate. My flight has a 3 hour layover in Taipei and you have ample time to do some sightseeing in the terminal, check some stores, (most certainly the Hello Kitty store,) and the many restaurants that are open at that hour of the morning serving breakfast. The signage all in the terminal that I walked through were legible and easy to understand and the one time I needed assistance from the Customer Service desk, they were very helpful and polite. It always has been a very pleasant experience in this airport. » Airlines and airports can respond to user reviews. » The 5-Star Airport rating recognises those airports that are achieving a very high, overall Quality performance. » Verified Reviews, customer trip reviews that have undergone more detailed authentication. 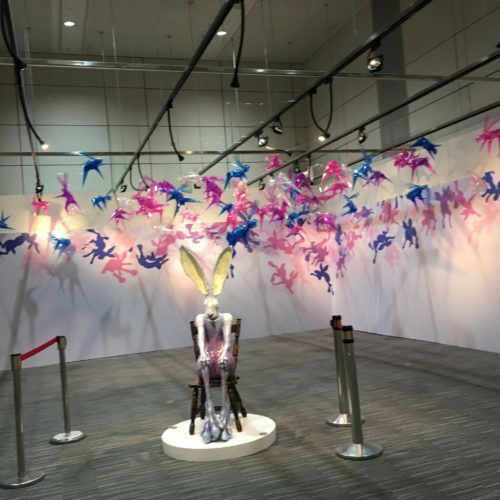 » Have you got an Airport experience to share? Start your review here. » Register as a Member and view submitted, published, and any rejected reviews. » Compare Airport Review scores based on aggregate ratings from Customer Reviews.